We specialize in migrating servers and data from one platform to another and exclusively multi-platform migrations where no specified migration path exists. Still operating on legacy applications- JR-Tech has solutions for you too! 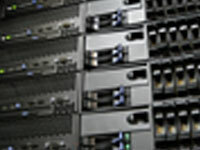 We can migrate your servers to new hardware and software at the same time with no downtime for your business. We automate the complete migration process, and make the complete experience seamless to your users. We are able to get your systems on the newest releases without the problems and costs of a multi-upgrade solution. 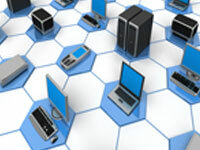 Server virtualization is a process of running multiple virtual operating systems on a single customized server. With server virtualization through JR-Tech we will evaluate the various requirements of each application on each server and find the right balance of hardware and software to merge many of these application servers to one custom server. This allows each hardware component in the server to be utilized to its fullest potential at the lowest cost to the business. With computer systems and hardware increasing in speed over the years, has your network followed? Many businesses are astounded to learn that their network still operates on technology developed in 1995 (100Mb/s). With this slow communication speed, it causes bottlenecks in the data transmission and creates an unreliable network. 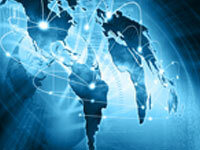 JR-Tech will evaluate your network and discover where your network congestion occurs. We can plan out a network migration path that includes all upgraded hardware necessary for your network demands. Intraforest / Interforest Active Directory Migrations, domain restructures, mergers, and trusts are a few domain migration services that JR-Tech offers. 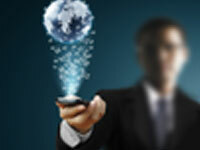 JR-Tech will ensure all your technology requirements are met now and in the future. JR-Tech’s engineers are experienced with large forests down to small domains, and in all directory services. Have a legacy system, we can migrate that too! Email needs to be secure, reliable, fast, and mobile. 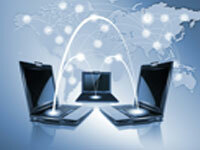 Various organizations have expanded faster than their email solution can handle. Delays, lost email, retention policies, and spam can frustrate business operations and have costly results. JR-Tech can migrate your email not only to new hardware, but can transition it to better solutions that work for your company. 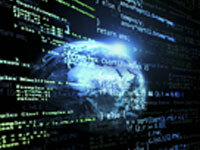 Your company’s data is one of your most valuable assets. Data migrations can be an ongoing task for IT administrators as system, storage, and hardware technologies progress. Let JR-Tech complete your data migrations. Our experienced staff will plan and execute your data migration quickly and completely, without the extensive completion time normally associated with data migrations. Moving offices to a new facility, expanding, or consolidating? 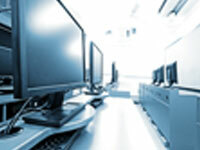 JR-Tech will assist in the planning of your new IT infrastructure, coordination and scheduling, and the migration of your IT equipment (servers, desktops, printers, network devices, etc.). We will inventory your entire network, manage all steps of the migration, and test all systems after the migration is complete. Relocating a data center, migrating IT systems and applications, or just moving the data to new hardware presents risks to any organization. Our Migration Engineers will strategically plan, manage, and execute the entire process from start to finish! Let JR-Tech show you how cloud computing can revitalize your business, keep your TCO (total cost of ownership) low, and improve the reliability of your systems. 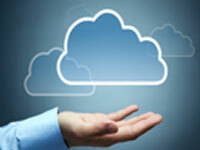 JR-Tech has developed a Cloud strategy that we customize for each business. We will help you understand your Cloud options, the total costs associated with the migration, the impact on operations both on and off-site, and develop the right migration path for your business.